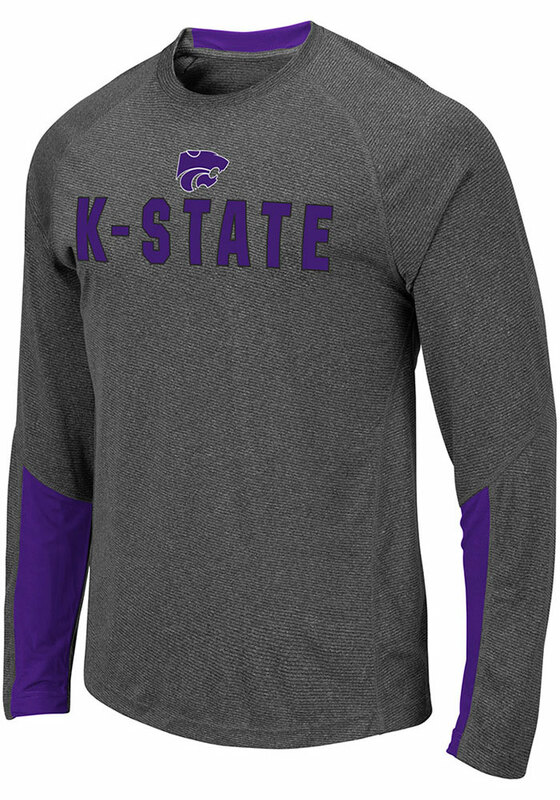 Keep cool while showing your K-State Wildcats spirit in this Grey Brisbane T-Shirt. This Long Sleeve is the perfect Tee for working out, heading to class, or cheering on the Wildcats. 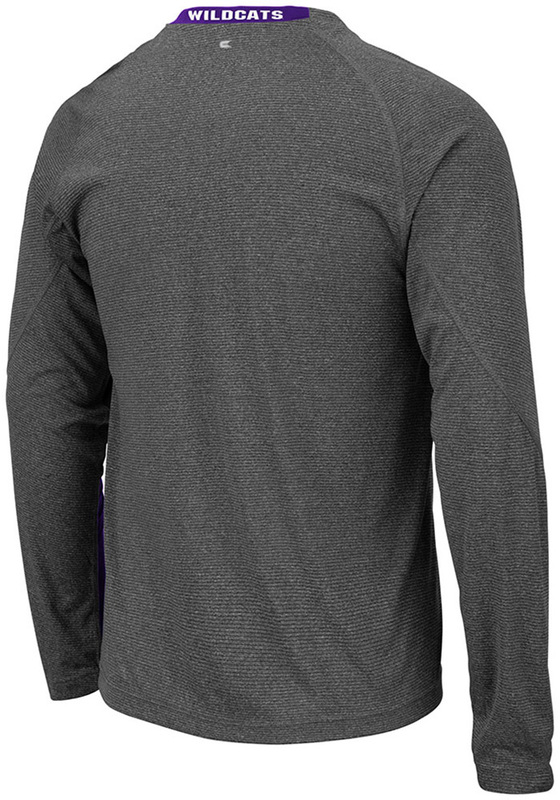 Featuring a team name and logo rubbarized screen print on front chest with team color inserts on sleeves and team name on back collar, there's no mistaking your K-State Wildcats pride in this Wildcats Brisbane T-Shirt!